Calling all Toms River 6th, 7th, and 8th graders! 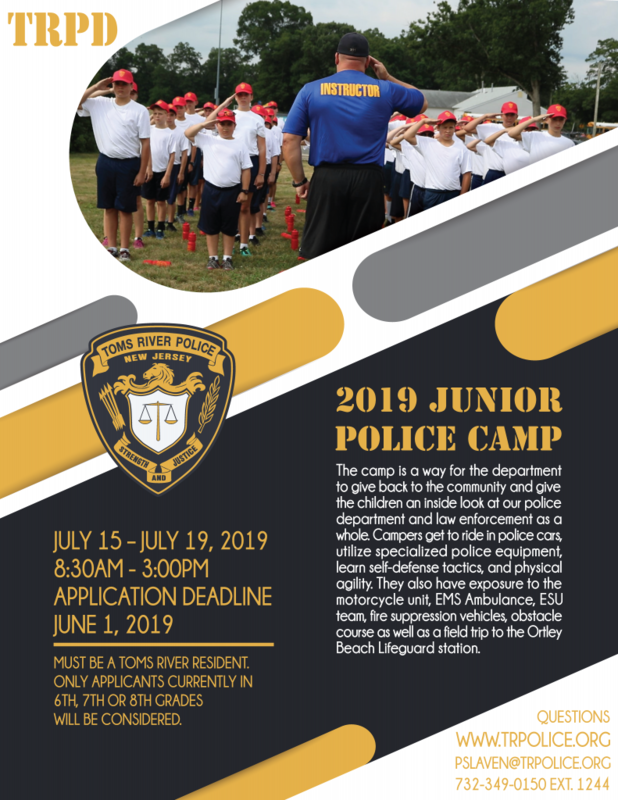 Join us this summer for our 2019 Junior Police Camp. Get your applications in early before all slots are filled. See you guidance counselor for applications today! To view videos from previous years please visit: www.tomsriverpolicefoundation.org. Videos are at the bottom of the home page.